This work was created for the exhibition _____; at Margaret Lawrence Gallery in Melbourne. The exhibition addressed issues of blankness and the dually anxiety-inducing and promising space encountered when confronting the physical/mental terrain of an exhibition (or idea) before it has been realised. The work responded to the exhibition brief by invoking the peculiar working methodology of the famous Russian Constructivist Vladimir Tatlin. Exhibiting in the seminal exhibition ‘0.10 The Last Futurist Exhibition of Pictures’ in Petrograd in 1915, Tatlin was reported to have demonstrably cordoned off his designated exhibition area with a handwritten sign reading ‘V. Tatlin’s Space. Do Not Take It!’. Tatlin deliberately resorted to last-minute tactics (he was apparently still installing as audience members arrived) to prevent any of his rivals (as he saw them) – in particular Kasimir Malevich and the Suprematists – from ‘stealing’ his ideas. Of course, Tatlin’s territorial sign was later replaced by one of his highly unique ‘Corner Reliefs’. Responding to this telling anecdote while addressing the exhibition theme, No Relief (After V. Tatlin) reconsidered Tatlin’s territorial gesture as art: that is to say, an artist’s authorial claiming of space always already transforms space – even if it is apparently empty – into a product of art. 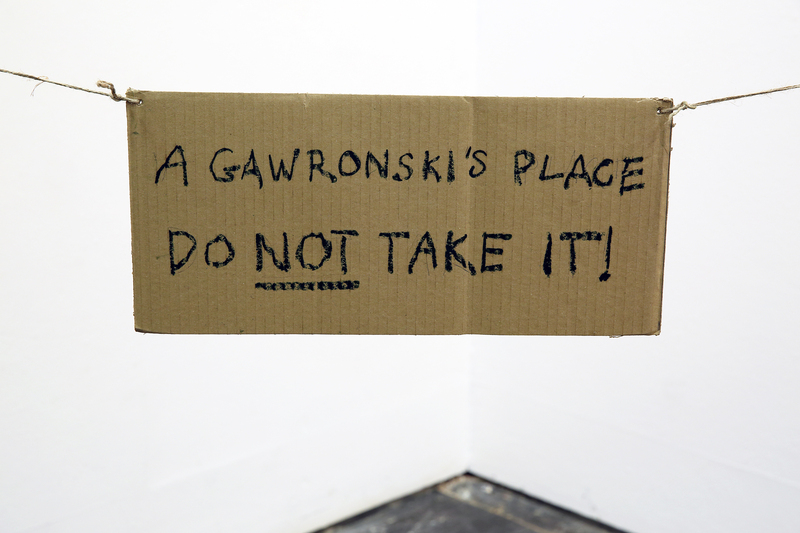 The artist’s name claims blankness as a type of negative or inverse object, and in so doing indicates the fact that no space is, or ever can be, simply ’empty’. Emptiness is a condition of the ever-present promise of colonisation through the myth of completion. At the same time the self-consciously cordorned-off corner suggested a threshold that oscillated between objecthood and its impossibility. 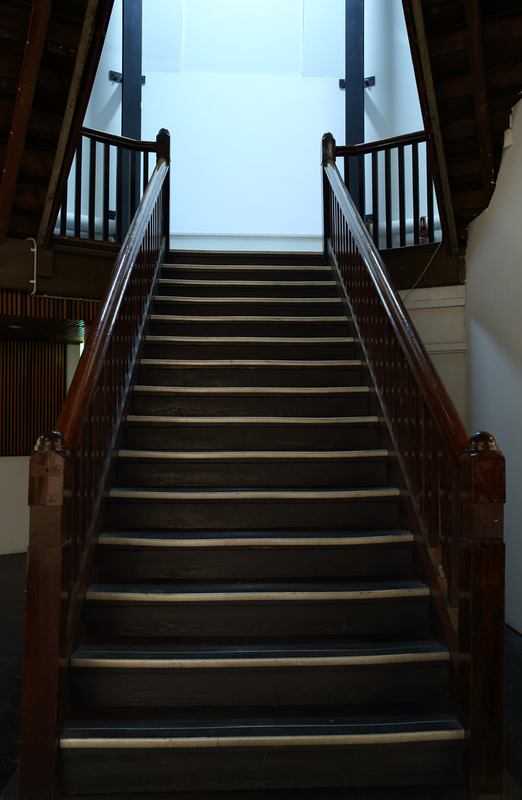 Passing was an HD video work in which a filmed sequence of shadows passing over a blank page on a train was specifically calibrated to project onto one of the gallery’s walls at the top of a flight of stairs. The video shows ‘nothing’ in particular and is anti-representational in this sense. The projected flickering of passing shadows effectively animated the static architecture of the gallery space. At the same time, the work suggested subtle fluctuations in the ambient lighting conditions of the gallery. Such a reading however would prove entirely paradoxical though given that no natural light enters the gallery at that spot. Alternatively, the work may have suggested a broken lighting fixture. Again such a reading would be counteracted in this instance by the exactitude with which the projected light occupied the space of the partition. 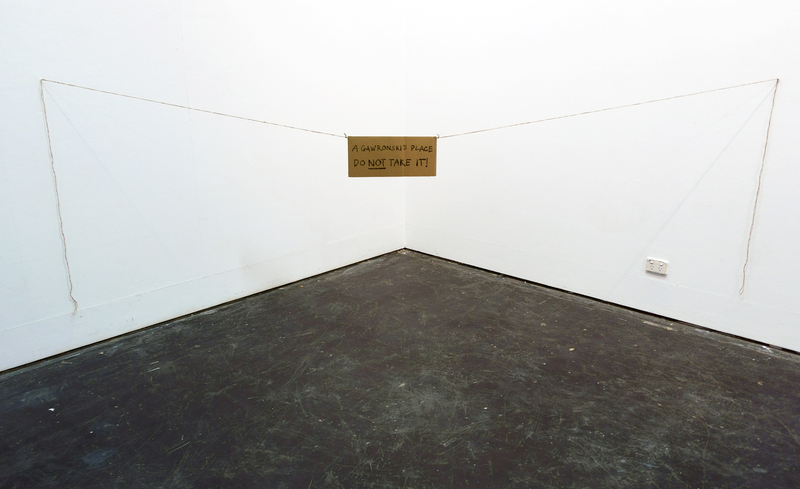 Overall Passing hinted at the impossibility of apprehending exhibition space as inevitably neutral.